With the Common Core Standards kicking in this year, a lot has been made about the new model, both good and bad, but the most interesting aspect to a lover of literature, such as myself, is the debate about the new Reading Lists that were constructed for students K-12. David Coleman, President of the College Board and point man for constructing the new standardized “Lists,” has had to explain his decisions over the last year because of the uproar it caused towards the end of 2012, covered well in a Washington Post column written by Lyndsey Layton. Alaska, Nebraska, Texas, and Virginia have not joined 46 other states and the District of Columbia in adopting the English measures of the Common Core, but that should not stifle the debate in these states, as reading is one of the most (if not the most) important skill students will learn before they head off to college. The main area of contention with the new Reading Lists circles around the fact that 70% of the lists are non-fiction, which has caused many English teachers to throw their hands up and declare an end to English literature. But this reaction may be extreme, if not solely the battle-cry of teachers sensing an encroachment into their domain; however, some of them have a point. Many of the suggested texts deal with the social sciences or history, readings that teachers feel would be better suited to other classes outside the realm of English. But teachers in other disciplines have stated that the job of English teachers is to teach reading and writing, not simply the magnificence of Candid or Catcher in the Rye. As an adjunct faculty member teaching developmental writing at Richland College (a community college in Dallas, Texas that will not be receiving, by and large, students that have been subjected to Common Core Standards), I tend to agree with teaching texts other than literature in high school English classes, especially if they are texts from the social sciences. I have had many people ask me what books or outside materials high school students should be reading and the best answer is: all of it. Everything that is out there, minus the poorly written. One of the main problems that students have when they walk into my classroom is their inability to articulate themselves well enough. They may have read quite a bit, written a little, but their abilities to sit down and craft well-written arguments are in their nascent stages, and it takes quite a bit of time for them to recognize where the pressure points are, where they can push harder or need to reel it back in, and where the crux of each argument lies. Part of the problem as a society is our insistence, our preference, to watch political television, to listen to biased radio, and to allow ourselves to believe that arguments are won by the person that has the loudest or most outlasting voice. We certainly do not reiterate enough (couldn’t if we tried) the importance of patience, pertinence, and steward-like progress in our communications. We do not reinforce enough the importance of sifting through facts and coming to conclusions, which we can then use to convince others of how the world is, or more importantly, how we can look at the world differently for our own betterment. That is what a variety of different non-fiction books are capable of doing; varying types of literature as well. 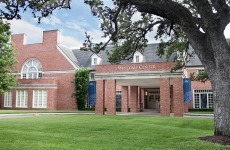 Using an example from the Dallas area, The Hockaday School (a very highly regarded private, all-girls school) has an array of wonderful literature embedded in its classes across the English discipline: Madame Bovary, Slaughterhouse-Five, The Guest, Beloved, and The Divine Comedy, just to cover a small sample. But even a school as highly regarded as Hockaday does not have Malcolm Gladwell’s The Tipping Point: How Little Things Can Make a Big Difference or David McCullough’s 1776 (both of which are recommended in the Common Core) in the curricula. And don’t we read the latter because it is like being in a history class that plays out like literature? Isn’t the best literature infused and fortified by the social aspects of humans that are traceable and what we are continuously talking about? I would argue that books such as these only enrich the English experience, not dilute it. What are we doing if not trying to establish a platform for which students will go on to be lifelong readers across subjects? Does that not make us all better, more articulate, and knowledgeable? Succinctly, this is not a debate about whether the Common Core is right or wrong, will succeed or become a passing educational initiative that will fade into the background like so many others. Instead, and in light of the fact that students should be reading a variety of materials now and in the future, I have complied a short list of books for those interested in a variety of different topics, straddling what some are saying is the cavernous divide between fiction and non-fiction (which it is not). Like life, these books are meant to demonstrate the different aspects and interests of our lives. Some are taught in college-level English courses, others are taught in college-level history or creative writing classes, but all of them will exist as choices for potential readers whether they are placed on a well-thought-out reading list or not; and two of them have “Einstein” in the title, which is purely by coincidence, maybe.